Vintage Art Drawn Old Card. 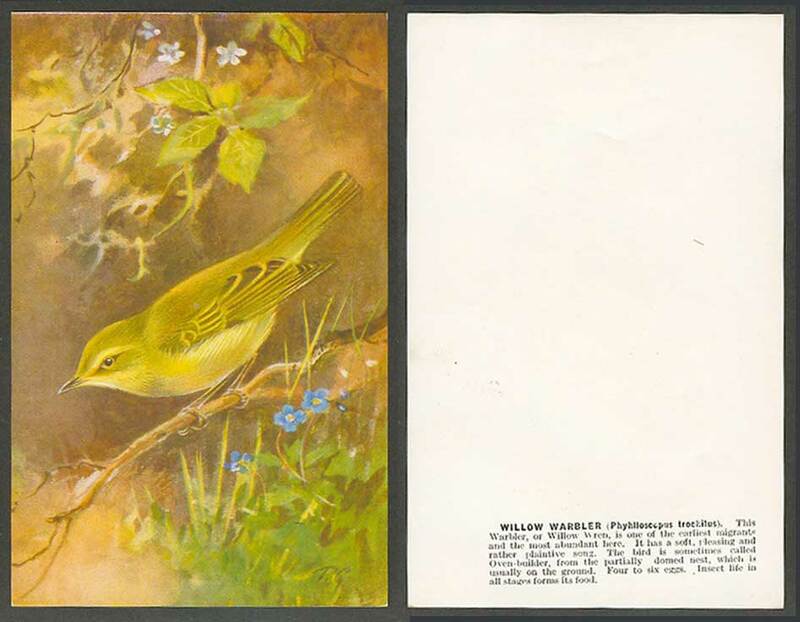 Willow Warbler Bird, Roland Green R.G. Artist Signed. Willow Warbler Bird, Phylloscopus trochilus. This Warbler, or Willow Wren, is one of the earliest migrants and the most abundant here. It has a soft, pleasing and rather plaintive song. The bird is sometimes called Over-builder, from the partially domed nest, which is usually on the ground. Four to six eggs. Insect life in all stages forms its food.